The 3rd Edition of the Commission on Revenue Allocation Conference took place between the 28th and 31st may 2018 in Kwale County. The theme dubbed “Automation for Enhanced Revenue and Fiscal Responsibility” was the focal point around which discussion was made. Of importance to note is the need to improve revenue collection under the Own Revenue Source (OSR). The conference noted a number of key challenges facing counties in their quest to meet revenue targets. This was an opportunity for ICT and Revenue directorates to discuss ways in which counties are able to scale the heights despite the obstacles. Speaking on the sidelines of the conference, Nandi County’s Chief Officer in Charge of ICT & e-Government, Misoi Jonathan highlighted key areas in ICT that will boost the county’s revenue automation process. As part of the panelist discussing how status of automation in Counties, Misoi noted the need for Counties to implement a number of strategies. Among other strategies, the department has finalized setting up a structure that will ensure effective working structures for ICT staff. The department now has three Directorates (ICT Infrastructure, Systems, e-Government and Communications and Public Relations. The department has also completed drafting policies that will be approved soon to help the county in the journey of utilizing technologies for efficient service delivery. The policies include ICT Policy and Standards Guidelines and Procedures. Currently, the Revenue System is undergoing upgrades that will ensure that residents pay for services easily and conveniently. To enhance enforcement, Misoi is proposing a public app whose details will be released in a few months’ time. 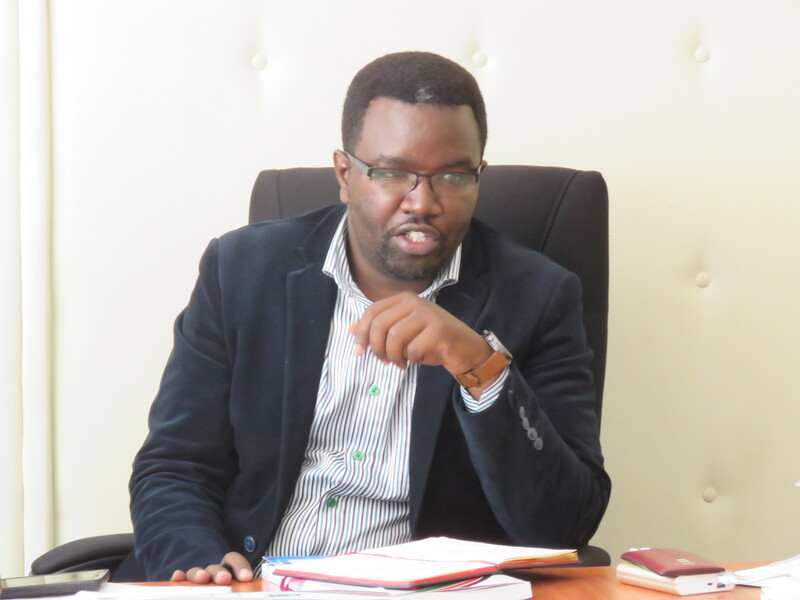 In a bid to ensure proper networking in the county, the department has finalized a review of County Network Infrastructure that will allow fully-fledged automation. The Network infrastructure once in place and its backbone being the National Optic Fibre Infrastructure (NOFBI), will allow various automation of processes within the Nandi County Government. The Chief Officer also indicated that plans are underway to develop a robust Data Centre that will act as Recovery center for systems currently hosted on the Cloud. 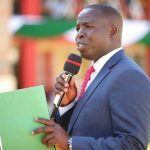 As the county government seeks fast track the penetration of ICT skills in the county, the department recently signed a Memorandum of Understanding with Jomo Kenyatta University of Agriculture and Technology (JKUAT) that will see a number of areas for collaborations both in ICT and Agriculture. One of the areas is to enhance ICT centers and training the youth on latest technologies and opportunities therein. The two entities through their respective ICT sections have finalized the proposals under the ICT area of collaboration in the MOU. The proposal covers nine ICT Capacity Building tracks for the Executive, the County Assembly, the ICT Technical Staff, the County Staff, the Youth and members of the public, a 15-agent Call Centre, a 4 tier Data Centre (4 Tier Data Centre, Human Resource Tracking Software development, TAIFA Laptop supply to the County Executive and County Assembly, Spatial Planning, GIS Laboratory and related Capacity Building, ICT and Communications Strategy Development, and development of ICT Incubation Hubs. 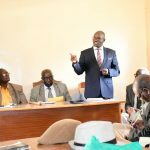 As he seeks to transform the ICT department, Misoi noted the importance of reaching out to development partners like World Bank to support Projects that will create job opportunities for the youth. 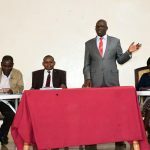 He mentioned that he was in the process of finalizing a proposal for Business and ICT Incubation Centres (BIIC) that will be hosted in the Major towns in the county to help incubate bright ideas from the youth. The CO assures that he will proactively look for development partners and well-wishers to realize this dream. Already Computer for Schools Kenya is in the process of equipping all Vocational Training Centres (VTCs) with computers. Going forward through partnerships, the department will be hosting Yearly Conference dubbed “Startups, Exhibition and Awards” that will bring together Youth with enterprising minds and ideas in various fields such as Agri-Business, ICT and other innovations. This forum will allow them to showcase their ideas to potential venture capitalists, funding institutions and well-wishers.